Chair NV45 was shown at the Cabinetmakers' Exhibition in 1945 - with other furniture including a desk and sofa designed by Finn Juhl and made by Niels Vodder - in a room setting that was described as a "room for a managing director." Obviously this was not cheap furniture … a review in Berlingske Tidende noted that the furniture was designed for a deluxe office and added that not only had it been awarded first prize but had been sold in advance to an American customer. In a review of the exhibition in the magazine Arkitekten, Erik Herlow wrote: "As opposed to Ole Wanscher, he [Finn Juhl] does not base his work on the improvement of traditional models. Instead he analyses each problem in terms of its functional requirements which will, in turn, determine his choice of form." Is that right? Surely that phrase 'functional requirements' implies furniture rather more utilitarian than this chair where the design seems to be more about testing boundaries or rather testing the limits and skills of the cabinetmaker. There is a thin curved shell for the seat and back that rests on a cross bar underneath, between the side stretchers, so the design separates the supported and the supporting elements of the chair. The shape of the shell may have been Influenced by a chair designed by Edvard and Tove Kindt-Larsen and made by Gustav Bertelsen that was shown at the Cabinetmakers' Exhibition in 1940. 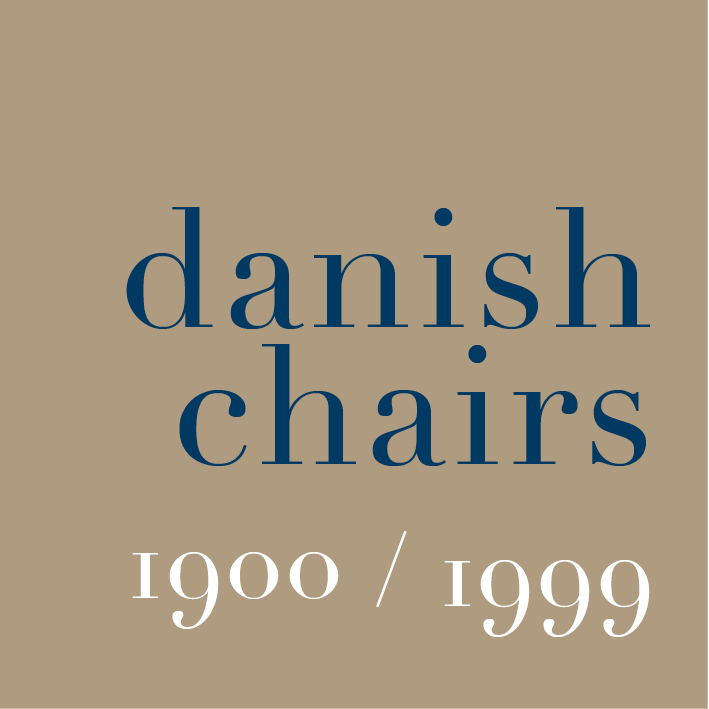 Set in a room with furniture centred around an open fire, the chair won first prize that year * but the frame appears to be heavy and clumsy when compared with the later chair by Juhl. The frame designed by Finn Juhl demanded considerable skill from the cabinetmaker. The shaped arm rest forms a narrow L shape at the outer end where there is a join for the front leg and in other sections of the frame Juhl reduces and stretches parts that are under stress or carry weight. It would be interesting to have an assessment of the frame from an engineer because the join where the back leg meets the underside of the arm rest would appear to be under stress because the leg is set at an angle and the post of the back rest acts as a lever because, although the shell is supported on that cross bar under the seat, the back rest is fixed at the very top by a thin lug so someone leaning back would put pressure down through the post to the top of the back leg. It is also not clear how a pair of thin angled struts, that run out and down from the centre of the cross bar under the seat to the front legs, could stop the legs being forced apart at the bottom or the arm rests being forced apart if someone heavy stands up from the chair and supports their weight or pushes down on the arm rests … a fairly normal stance when standing up. The curve of the shell has a relatively thin layer of padding and required a textile with a more open weave to stop the cover bunching up around the inner angle. Juhl returned to some of these ideas for the design of later chairs and, for the Chieftain Chair from 1949, he pushed the challenge for the cabinetmaker further. In the Cheftain the seat and back are upholstered over plywood but the shape of the arms was too complicated to form in wood so they are plates of metal that were hammered into shape, as in a car bodywork, and then upholstered. In 1952, in the design of a chair for Bovirke, the BO98, Juhl returned to the shell shape of the NV45 but added a cross rail between the front legs that supported the front of the seat and moved the cross bar back under the angle of the shell to omit the struts and the upper part of the back post of the back rest and fixed the frame to the shell at the angle of the arm rest and the back leg. This chair was included in the room setting that Juhl designed in 1951 for National Museum of Decorative Arts (Det Nordenfjeldske Kunstindustrimuseum) in Trondheim in Norway. The room had a fitted bookcase on one wall; full length windows along almost all of one long side and a wooden floor in Swedish Kalmar pine. It was furnished to represent the best of Scandinavian interior design - with a rug, a sofa and two chairs by Juhl with a light by Vilhelm Lauritzen and, rather interesting for the contrast, a Stool 60 by the Finnish designer Alvar Aalto. Juhl himself acknowledged the influence of contemporary American interiors. The full description of the room by Finn Juhl is reproduced in Danish Furniture Design in the 20th Century by Arne Karlsen and is an important lesson in the value of considering these major pieces of furniture in a context the designer envisaged.